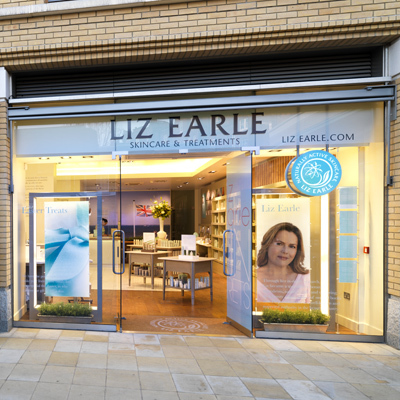 Last week while I was up in London, I was invited along to the Liz Earle store just off Sloane Square to experience one of their Skincare Tutorials. Despite being completely addicted to all things beauty, I was genuinely surprised when I found myself struggling to answer the first question that Jo (the Treatments Manager) posed me. She waited patiently as I desperately scoured the confines of my psyche searching for a string of nouns and adjectives that I could string together in a suitable response. When suddenly, something shifted and before I knew it, I couldn’t stop myself as issue after issue spilled from my lips and damn near flooded the treatment room. Woah there Nelly! Jo looked slightly bemused but remained completely composed as I leaned in to show off the redness across my cheeks and nose. “Ilooklikeadrunk, isitrosacea? OMGamIgonnagetrosacea?” I gasped, suddenly panicked at the thought of replacing all my lovely creamy concealers with industrial tattoo coverup. By this point, I was probably flaring at the nostrils like some over-tried, sweaty race horse. To her credit, Jo remained ever-relaxed and soothing as she examined my skin closely. I was ‘diagnosed’ with ‘diffused redness’ and was assured that this was NOT the same as Rosacea and nor was it necessarily a sign that I was gonna develop the common skin problem, especially as I have no family history of the condition. It did, however, mean that my skin is in a state of sensitivity, irritation and inflammation. “OMGLIKE… WHATCANIDO?” I wanted to exclaim… though I think I retained a teeny bit more street cred that that would imply. 2). Include some anti-inflammatory foods in my diet (Salmon, Turmeric, Papaya, Brocolli, Sweet Potato) and perhaps even supplement with something like garlic tablets (a well known anti-inflammatory). 3). Aim to use skincare that contains vitamin E, which she described as the best anti-oxidant available. 4). Make sure the water I use isn’t too warm, be gentle and use as little water as possible in my cleansing routine. Ok, I need to interject here…. Ahem. A proposition nightmares are made of for me! I’m gonna give her advice a go and see if I can get my skin happy with me again. She also highlighted a few Liz Earle products that she believes will be beneficial to my particular concerns and demonstrated exactly how best to make them work for me. There was no hard sell, and infact… Jo focused upon my lifestyle choices that may be triggering my skin sensitivity more than anything else. I really enjoyed the skincare tutorial, a personal service that allowed me to discuss my concerns was a truly welcome experience. It’s priced at £45 for 45 minutes and I think it would make a fantastic birthday gift for a sister, daughter or other close relative. Infact, how much would I have loved this as a teenager? I still have the Nokia 5110 that my parent’s gave me for my birthday back in 1998. I wonder if they’d mind exchanging it for another session with Jo… I could have chatted for hours! You can read some of Jo’s skincare tips here. Sounds fab! I make an effort to do most of the above but in combination with the Liz Earle products I have really noticed a difference in my skin, It’s so much clearer and more balanced, I am amazed. I’m never one who goes for ‘3-step’ routines, absolutely hated the Clinique one but Liz Earle products are based on common sense and not stripping your skin. The site, the range the customer care. I really love them and I can’t wait to try their products! My skin gets really red and blotchy, sensitive too… the tutorial sounds great.. a little pricey.. so can you redeem the tutorial with products?? Because that would make more sense to spent that amount having your skin diagnosed I think.. Thanks for this post! what do you think of the fact that the company has been purchased by avon? i love liz earle so i hope it doesn’t change things! i was devastated to find out the last time i was in london that i was actually staying close to it but i didn’t know til i came home! @Nia – That’s great and I totally get the common sense approach too as a ‘feel’ for the brand. There’s no BS pseudo-science going on. @Olivia – Nothing is perfect! 😉 But they’re coming pretty close so far – though I’m still not in love with Cleanse & Polish! @NicNic – You can’t, no. But it would be fabulous if the tutorial included some kinda of voucher redeemable against products wouldn’t it? Or even a discount? @baby in a corner – Honestly, I don’t have any thoughts on it. I guess it depends on how much control (if any) Liz is relinquishing to Avon.